Constance Lemuria brought a smile to the faces of some 20 children from the National Council for Children on Praslin on Christmas Day. 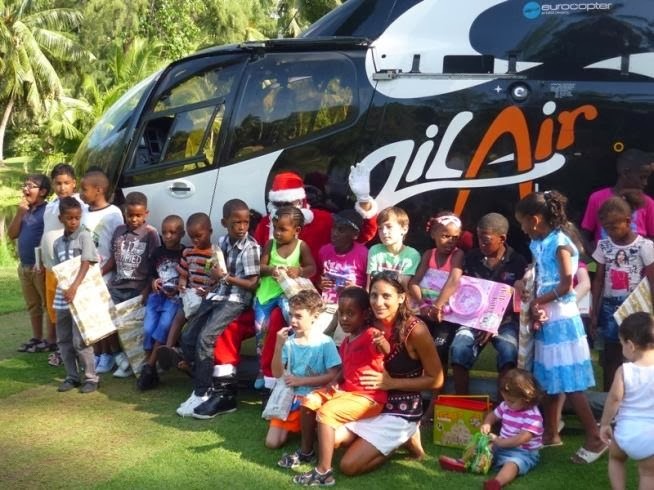 Instead of riding his traditional sleigh pulled by reindeers, Santa Claus arrived by helicopter with his bag of gifts to distribute to the children. A lunch was also organised for these children at the “Legend” restaurant.